This letter is featured in the Fall 2018 Newsletter. To view the full newsletter click here. As the year draws to a close and we look to the New Year, I am energized by the company’s focus on opportunities presented by the nation’s impending Age Wave. This is a time of sadness and celebration at Douglas Wilson Companies, which is a balancing act that none of us enjoy. 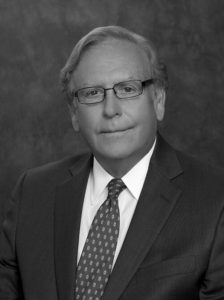 We are mourning the loss of our great friend and colleague Alan Scott, who served with us for over 20 years, through good times and bad, solving millions in complex brokerage transactions over the course of his career with us. We send our deepest sympathies and support to his wife, family and his many friends. For the past few years, DWC has been building its platform for the senior housing market. Last summer we dove in, breaking ground on a 127-bed upmarket community in Southern California. When it opens this month, Sienna at Otay Ranch will provide a contemporary living environment for those seeking assisted living and memory care. We are excited for the new senior living projects we currently are working on in California. As we head into the fourth quarter of the year, we continue to fill our calendars with meetings focused on the imminent transition of prosperity and wealth to the next generation. With a large percentage of legacy portfolios filled with real estate investments, businesses and families are turning to us for guidance on how to shepherd and preserve those valued investments into the future. We are honored to join our colleagues who already serve these legacy families as trusted advisors in the legal, accounting and trust professions. We thank you for your continued association with DWC and wish you a strong finish to 2018.